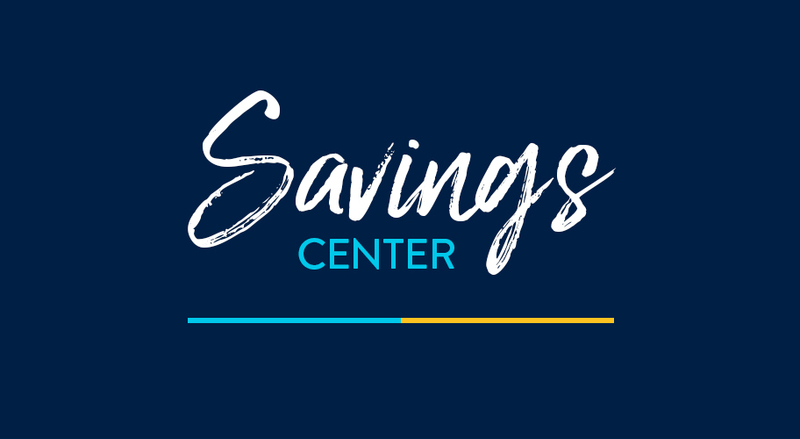 Head into your one-stop shop for Rollbacks, clearance, special buys & more. Make the most of precious closet space with soft bins, compression bags & hanging organizers. With extra blankets & winter sweaters tucked away, your space will feel refreshed for spring & beyond. 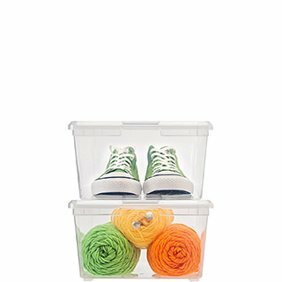 There's no time like now to get your home organized. At Walmart, we have storage and organization solutions in every shape and size for your every need, from clothing and jewelry to holiday ornaments and toys. We also have storage for every room in your house so you can get your life in order. With Every Day Low Prices on so many storage and organization options, Walmart can help you get your home tidier for less. Save money. Live better. Baskets and bins are beautiful storage additions to living spaces and come in resin wicker, rattan style and lined baskets in any weave ideal for stacking on shelves or on the floor and under the bed. 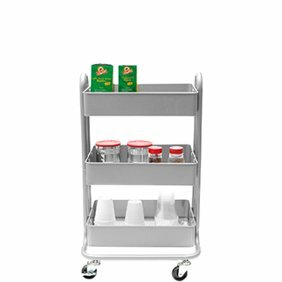 Utility rolling plastic carts, drawers and bins for office, playroom or bedroom storage are textured or clear for easy access. Storage ottomans with lids store items in living spaces, playrooms and bedrooms, and are soft enough to double as extra seating. 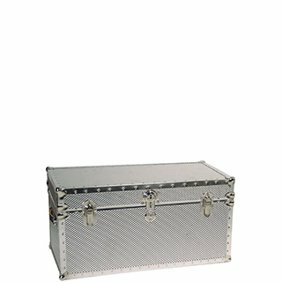 Storage footlockers, ideal for college to double as a durable vinyl hard surface or table, can be locked and stored by the foot of the bed, and many are wheeled. Seasonal storage bags come in all shapes and sizes to accommodate gift wrap, ornaments, artificial trees, over-sized wreaths, special occasion dinnerware and decor. Utility shelves of heavy-duty plastic or steel construction are meant for garage, basement or workbench areas to store tools, equipment and general auto, groceries, gardening or other maintenance supplies. Outdoor storage such as deck boxes, utility sheds and other small storage sheds made of heavy-duty resin keep your yard clutter-free in all types of weather. Collapsible fabric storage cubes are ideal for kids' playrooms and bedrooms, with durable handles for pulling, and in all colors and patterns to match any decor. 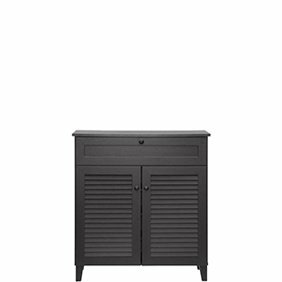 Utility floor and wall-mounted storage cabinets for laundry and basement are constructed from durable resin or steel for working interiors, many with adjustable shelves. 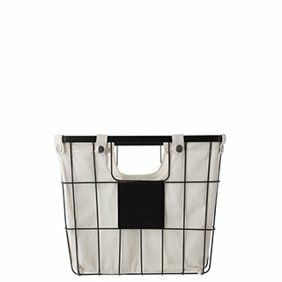 Over-the-door baskets, in various configurations and ideal for bathrooms, keep toiletries, hand towels or other small items out of the way yet easily accessible. Over-the-door pockets come narrow or completely cover the door. they're designed to typically hold shoes, but can hold anything you want, from art and sewing supplies to hair brushes and more. Over-the-door racks hold multiple shoes, many fitting up to 36 pairs. 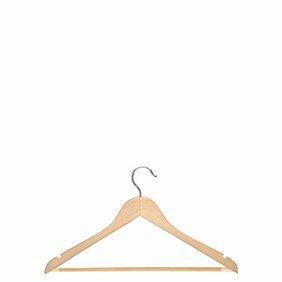 Over-the-door hangers come in single or multiples so you can turn the back of your door into a mini-closet. Some fold out of the way when not in use. Over-the-door hooks are space-saving ideas that can be installed without tools or hardware. They handle coats, towels, bathrobes and more. Closet doubler rods are the easiest and quickest ways to double your unused closet space while keeping clothes neat and in one place. they're ideal for a child's closet to accommodate a growing wardrobe. 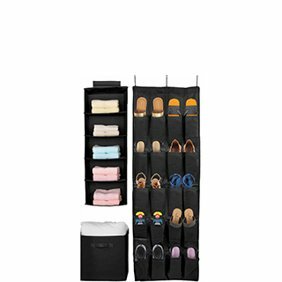 Hanging storage organizers come in various configurations, lengths, widths and number of shelves and drawers, and are made from vinyl or canvas. they're attached by hanger or durable Velcro band to efficiently hold everything from shoes to folded sweaters, pants and shirts. Some come with a built-in rod for extra hanging space. 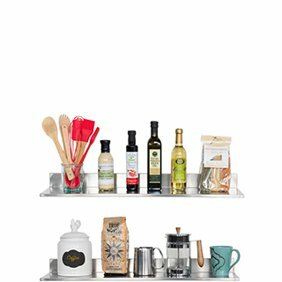 Wire closet organizers come in a number of sizes and configurations so you can personalize your space for optimum efficiency with multiple rods, shelves and roll-out baskets. Portable garment wardrobes in vinyl can be zipped up or closed, some with built-in shoe racks and hanging shelves. 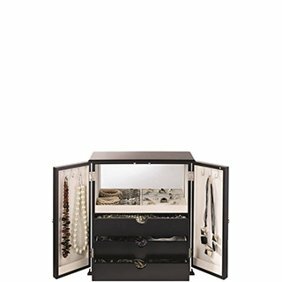 These provide extra closet space for seasonal or formal clothing that needs protective storage. Flexible jumbo plastic or polyester material bags safely stow away seasonal clothing and bedding underneath your bed, and collapse for easy storage when empty. Canvas bags zip up to protect your seasonal or formal wear or shoes safely in a breathable environment. Latch-top boxes and bins slide or roll under the bed and are roomy enough to store bedding, clothing and outerwear. they're also clear enough to quickly identify contents in a pinch. Shoe racks come in wood or metal with varying numbers of shelves to hold shoes in plain sight near an entryway or even in a closet. Boot racks are designed to keep your boots in shape by slipping each one over its own stand. Over-the-rod boot bags help you keep them dust free in your closet when you slip them into their pockets. Shoe cabinets are shoe racks that are enclosed in cabinets to hide the clutter in any room. Hanging shoe shelves for the closet attach with heavy-duty Velcro closures and come in different lengths and widths depending on the size you can fit into your space. Carousels with canvas or plastic pockets for shoes hang on a closet rod and spin 360 degrees for easy access. Some have built-in shelves for other items. Cubby shoe racks look like shelves, but have breathable fabric cubbies to store multiple pairs of shoes either along your wall or in a closet. Under the bed and out of sight, bags in plastic or fabric protect your shoes while efficiently using unused space. 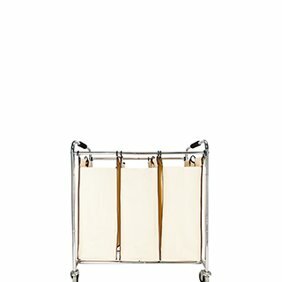 Over-the-door shoe bags or racks are the traditional ways to store shoes in tight spaces and comes in various lengths, widths and number of pockets.